BANG DREAM! 5TH☆LIVE / POPPIN’PARTY HAPPY PARTY 2018! “BanG Dream!” is a next generation girls band project, a mixed media franchise consisting of elements such as animation, comics, original songs and live performances. Based on the mega-hit smartphone, “BanG Dream! 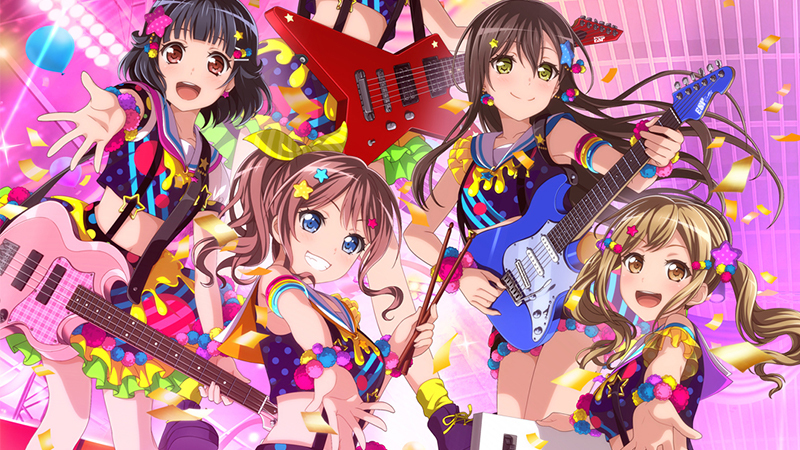 Girls Band Party!” is centered around the world of the “BanG Dream!” characters, including Poppin’Party whose voice actor performed live as her character on the very same instruments. Don’t miss this smash-hit sensation recorded live in May 2018 at Makuhari Messe, where the two bands performed to audiences of over 46,000 both on-site and at live-viewings across Japan and nearby territories.